Watercolour; signed. View of the monumental 14th-century tithe barn at Great Coxwell. The low perspective and strong contrast between the dark surround and pale, illuminated building creates a strong sense of drama. 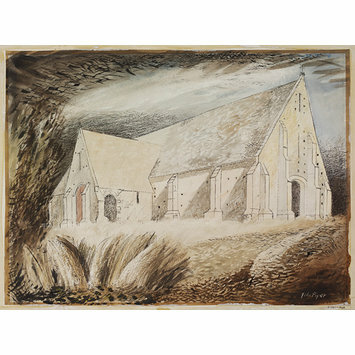 Watercolour by John Piper, 'The Tithe Barn, Great Coxwell', from the Recording Britain Collection (Berkshire); ca. 1940. Palmer, Arnold, ed. Recording Britain. London: Oxford University Press, 1946-49. Vol 1: London and Middlesex, Surrey, Berkshire, Buckinghamshire, Hertfordshire, Bedfordshire. p.123. 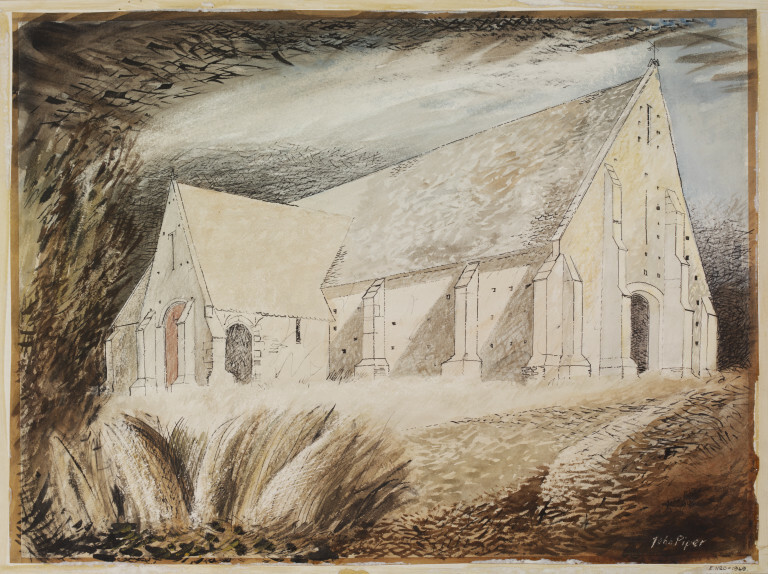 Tyack, Geoffrey, Simon Bradley and Nikolaus Pevsner. The Buildings of England: Berkshire. New Haven and London: Yale University Press, 2010. p.314.